Brighton Ford : It’s Baby Season At The Howell Nature Center! 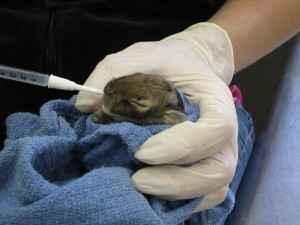 This is the busiest time of the year for Howell Nature Center's Wildlife Clinic. Rather than subject you and the wild babies to the ordeal of a baby shower, they invite you to send a gift to these little ones. Each year, Howell Nature Center takes in close to 3,000 injured or orphaned, birds, mammals and reptiles in need of a second chance at life in the wild. Most are orphans requiring specialized care. The newborns you'll be helping include fawns, rabbits, ducklings, squirrels, fox kits, hawks, owls, songbirds and more! An ever-growing number of these creatures need our help. The Howell Nature Center's Wildlife Clinic greatly appreciates your tax-deductible contribution in support of restoring these precious lives to their natural habitat. Simply donate online on their website today.